We have been working with Vertex Security when they upgraded the Access Control systems and the CCTV at our faculty. Since then we’ve used them for all our security systems needsm including a cloud based Access Control System, IP CCTV System and Magnetic Locks on our doors. We have experienced exemplary service from Vertex, both with the field technicians and the office team. Vertex Security’s attention to detail, professionalism and availability, day or night, is what sets this company apart from others. 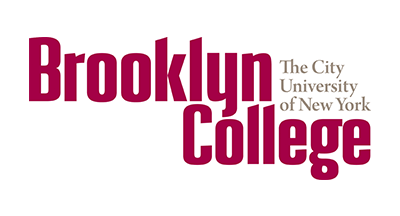 Vertex has dramatically upgraded the security at Brooklyn College. Based on our experiences it is easy for us to highly recommend Vertex Security to everyone. The mission of the Fordham Bedford Housing Corporation, established by tenants and community leaders in 1980, is to improve our Bronx neighborhood by providing community run housing that is safe, sound and affordable. Vertex Security is an integral part of this mission with its work in our new Serviam Gardens project and nearly 40 other buildings for low-income tenants. We operate and manage almost 100 residential buildings with over 3,000 apartments in the Bronx. One of our latest buildings, Serviam Gardens, offers 240 units of low-cost, high-quality housing to seniors in the borough. Vertex Security provides this new complex with access control and management services and video intercom services that bring piece of mind to senior residents and their loved ones. In the Serviam Gardens, we are especially happy with the installation of a video intercom system that connects every senior resident face to face with life-saving help around the clock. The video intercom system connects to the security station through two emergency buttons in each apartment, one in the bedroom and one in the bathroom. No matter the time of day or night, seniors and their families take comfort in knowing that security can be reached with the push of a button. Among our nearly 100 other buildings for low-income residents, Vertex Security provides vital solutions in access management and control, intercoms, security and video surveillance (CCTV), and locks. An access control system for 40 of our buildings is controlled off-site, including wireless receivers for cars. We appreciate the ability to monitor our residents’ safety from the convenience of one centralized location. 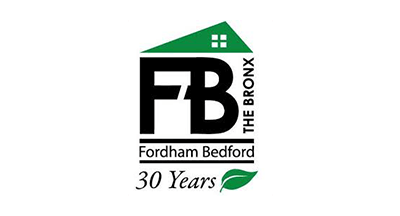 Vertex Security helps the Fordham Bedford Housing Corporation meet the critical aspects of our mission to provide safe, sound and affordable housing for low-income Bronx residents. With state-of-the-art technology in video intercoms, access control and management, and security and video surveillance, thousands of residents rest more easily. So do we. We would like to thank you and your wonderful staf for exemplary work. When we first began collecting bids for our Security Enhancement Project that included a burglar alarm system, access control system and CCTV, we were looking for a state of the art system that would be both integrated systems and user friendly. At the time we were under the assumption that by the time the project would be completed we would have had t frgo one of the above criteria. However, as soon as we began the work with Vertex Security we realized that our fears were unfounded. Service communications, through their wondeful sales representatives who have gone above and beyond to see to all of our needs and worked with us to mae adjustments when necessary. Wormanship, Vertex Security provided A-1 quality work to suit our desires and scedules. Product quality. The equipment installed was state of the art uder friendly and tryul competitive. In hindsight we realize that everyting is doable with Vertex Security. I can’t say enough about Vertex Security. It is increasingly difficult to find businesses that do everything they say they will do- and do so quickly, efficiently, professionally and within budget. Every team member from sales to the installation is expert in the security industry. We came to them with a need to have a security and keyless entry system installed within one week. I was skeptical it could be done, but they assured me it was doable. And they did it! The sales team will honestly assess your needs and tell you exactly what you need (and don’t need). 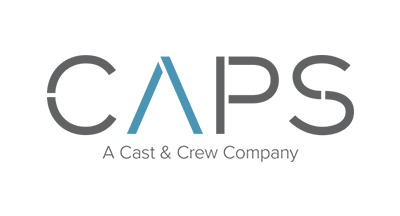 The installation / training team does an exceedingly professional job and gets the system up and running extraordinarily quickly. I can’t recommend them enough. Vertex has very honest service representatives and skilled technicians. I have been very happy with the service Vertex has provided my company. The are fast, courteous and reliable. I expect the best out of my vendors and Vertex has not let me down. I would definitely recommend Vertex for all of your office or home security needs. Andrews Building Corporation located in downtown Manhattan is a large property maintenance and services provider in New York City. Our strong reputation is key to our success, and Vertex Security helped us uphold these high expectations to our clients. Vertex Security provided outdoor security services for the duration of a construction project at 48 Walker Street, one of our many downtown properties. They designed a solution that successfully protected an area under construction with scaffolding on a pedestrian street. When under construction in New York City, outside areas are always at risk from attacks by vandals and others who cannot resist the temptation to tamper with vulnerable property. In addition, such tampering seriously endangers passersby who may walk around and under a compromised structure. This kind of intrusion and its possible consequences for public safety was a chief concern for Andrews Building Corporation as we undertook the construction project at 48 Walker Street. Vertex Security designed and installed an outdoor security solution that eased our fears. They installed an outdoor alarm system to protect the scaffolding, the first line of defense for our building under construction, with loud noises and emergency responses in the event of an intrusion. Vertex also installed security and video surveillance cameras (CCTV) to monitor the area and provide a clear deterrent to anyone considering vandalism. We felt peace of mind to know that someone was always watching the construction area, no matter the hour of day or night. Working with Vertex Security throughout the process also was a complete pleasure. 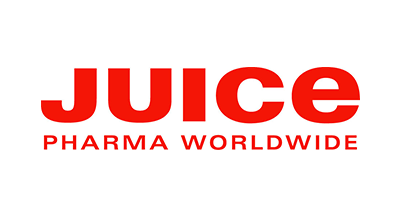 We appreciated their commitment to customer service and sensitive consideration of our concerns for our business. Andrews Building Corporation remains highly respected because Vertex Security helped with our security needs. 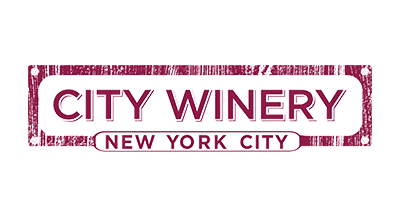 As Manhattan’s first winery in 40 years, City Winery sits at the center of the emerging new wine scene in the Big Apple. In addition to making our own wine on premises, we also offer patrons a world-class wine bar, live music venue and private event space where the community of wine, food and culture lovers gathers. Our state-of-the-art space off Hudson Square in Soho serves many purposes, including a bar and restaurant, concert venue and destination for high-profile fundraisers. In this environment, one of our key concerns was how to keep the space secure but maintain the openness that people expect from the interactive and dynamic location at City Winery. Vertex Security solved this challenge with a full range of access control and alarm systems that increase safety without sacrificing the welcoming vibe of City Winery. City Winery is a 21,000 square foot, multi-purpose space in one of Manhattan’s hottest neighborhoods. This position makes it imperative for us to find intelligent ways to manage the flow of traffic among patrons and dedicated staff members in the venue. Vertex Security helped us answer this problem with its access management and control services. As a result, the activity level remains high, and so does the comfort and safety of everyone at our location. Also, City Winery is unique in Manhattan for providing a barrel ownership program that allows participants to make their very own wine on-site through every step of the process. Given the investment of time and pride in this process, we feel confident knowing that our patrons’ hard work is protected by a high-quality alarm system installed by experts. This same system protects our cutting-edge equipment and brings all around peace of mind to our enterprise. Community, creativity and culture are what define City Winery. Our partnership with Vertex Security allows us to focus on that, while we trust them to provide the security solutions. 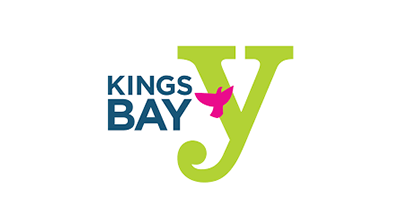 The Kings Bay YM-YMHA, known as the Kingsbay Y, is a non-sectarian, multi-service Jewish community center that serves the Sheepshead Bay, Homecrest, Midwood, Bergen Beach, and Mill Basin neighborhoods of Brooklyn, New York. As the largest not-for-profit organization in the area, we enjoy a high-profile reputation for providing social, educational and recreational services to people of all ages and backgrounds in a safe environment. With almost 200,000 visits per year, and many children and seniors with special needs among our members, we wanted a complete security solution that would increase safety in our large, two-story building while maintaining the welcoming family environment that is our hallmark. Almost 800 people per day use our popular facility, and members speak languages including English, Hebrew, Russian, Chinese, and Spanish. While it was imperative to be safe, it was also critical to keep the open atmosphere that makes the Kings Bay Y such a special place for the community. Vertex Security worked with us to achieve our goals, and we are ecstatic about the results. Vertex Security professionally designed a solution and installed top-quality equipment for access control, security and video surveillance, and intercom systems. For example, a new turnstile entrance now guides the flow of member traffic in our lobby, which decreases vulnerabilities at our most important entrance area. Vertex Security also consulted with us about cameras, which were installed at key points such as outside our building, and in the gym, hallways, and classroom. Video intercoms now link the different areas of our building, which helps us monitor the conditions in our many diverse areas, including the Olympic-size swimming pool, classrooms and fitness center. Best of all, Vertex Security remains accessible whenever we need to call them with questions about the operation and maintenance of our complete security system. Thanks to their professionalism and customer service, the Kings Bay Y enjoys enhanced peace of mind without any compromise in its renowned hospitality.